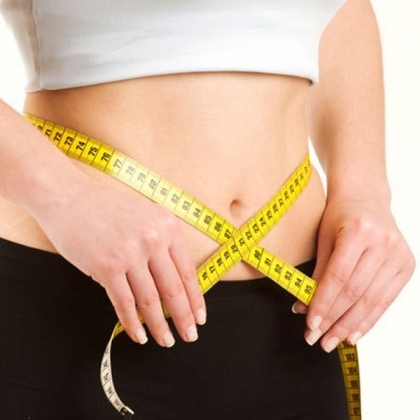 While planing weight management an important part of it is being active as that will make you burn some calories and when the calories consumed are burnt, it results in weight loss. 3500 calories makes one pound that is 0.45 kilograms which means you need to burn that much calories to lose 1 pound. So cutting 500 calories a day for a week can help you lose 1 pound in a week. Due to changes that take place in the body, one needs to cut down more on the calorie count to reduce weight and diet also plays a major rule. This is the first exercise to start with and do it in the best way possible. It involves muscles of your shoulder, triceps, lower back, abdominal and glutes. It helps you burn fat because more the muscles involved, more will be calories loss. Lie in the classic position of pushup, lie straight with hands beneath the shoulders and support at the toes while you lift your body up. Keep your body stiff and lower till you touch the floor and then push back again with complete extension of your arms. Stand upright with feet apart at least hip distance and hips little turned out. Take 3 pound weight in both the arms and extend your hands to the front. Keep your upper body straight and bend into a squat with your knees aligned on your second toes. Stretch your arms to the front as far as possible and focus on inner thigh muscles that needs to be tighten. Avoid turning your knees outwards. The way pushups work for body pressing similarly pullups do this for body pulling. Pullups is considered as the granddaddy of rest of the exercises. It is perfect for the biggest muscles of the body that is the latissimus dorsi. It is helpful in building endurance, train the back, biceps and has no negative impact on the body. One needs to start from the top and create resistance as you go down, keep your hands at a shoulder length with a full hang and your chin above the bar. Bring your body down with a complete extension and repeat. Start with support on all four, hands and thighs perpendicular to the body and hip width apart. Hold 3 pound weight in one hand and raise the opposite leg in straight line to the torso with arm extended towards the side. The hand and the legs moves out together. Do at least 20 repetitions and then switch weight to other hand and stretch the second leg. The focus is to keep the weight centered and work on the core. This is a single leg exercise that is the best to challenge for muscle flexibility. You need to maintain a balance between your body and mind and this is a perfect exercise for losing weight especially for those who lack movement throughout the day. Stand upright with the gap between your feet of more than your shoulder width. Lift your one leg and extend it to your back parallel to the floor, while keeping your spine arched, glutes contracted and abs braced. Focus on balance and hold the position by pushing back your hips and then get back to the normal position. Repeat this for a few times and then change to the next leg. This is not a simple exercise as it sound, if performed nicely this is among the toughest back exercises for burning calories and a challenge for the central nervous system. Stand straight against the wall with feet around 6 inches away, shoulders and elbow touching the wall. Take your hands over head sticking to the wall and then slide it down tucking your elbows to the sides. Repeat till you feel the stress in your shoulders and back. Stand with your feet hip width apart right foot in front of the left. Hold weight of 3 pounds in both the hands and arms to the sides with your palm facing outwards. Now bend both legs till the front leg is directly above the ankle and the second leg parallel to the floor. While bending raise your arm till the elbow is in straight line with the shoulder and forming a 90 degree. Return back to the same posting and do 20 repetitions before you switch sides. Stand straight holding a dumbbell of 3 pound, keep your feet together and arms on the sides. Tilt forward slowly while you lift one leg and let your hands hang with the weight. Stretch your legs behind and open your arms to the sides, hold the position for 5 second and then lower back to standing position. Complete 6 reps, switch legs and do repetition again. Push up can be done in number of ways to make this classic exercise entirely new. This exercise will help building arm muscles, sculpting abs as it includes core stabilization and body rotations. 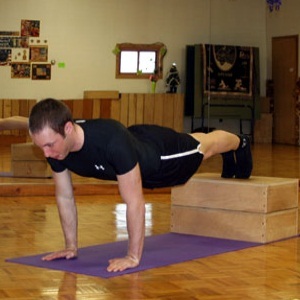 Do the traditional push up on the floor with your hands at a distance of shoulder with. When your body is parallel to the floor and arms stretched, raise your one hand and rotate is upwards so that your body forms a T shape. The hand in the air and one on the floor for support should be aligned straight. Come back to the normal position, do another pushup and this time raise another hand. For smarter abs and fat loss from the tummy, crunches is best exercise. It can be done in numerous ways but this one involves various muscles and improves body posture. Lie down straight on your back with your hand stretched over your head. This is for contracting your abdominal muscles, raise your leg keeping it straight while you lift your hands and fold your body. Take your hands to the toes that are lifted forming a v shape from your body. Maintain a straight back during the exercise. Return back to the previous position and so 20 reps.